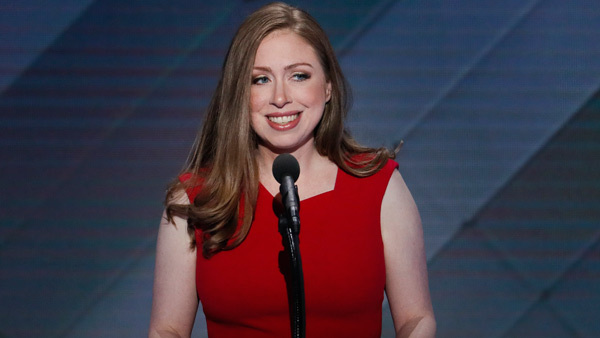 NEW YORK -- Chelsea Clinton has written a children's book, with a sharply worded title. "I wrote this book for everyone who's ever wanted to speak up but has been told to quiet down - for everyone who's ever been made to feel less than," Chelsea Clinton said in a statement. "The 13 women in 'She Persisted' all overcame adversity to help shape our country - sometimes through speaking out, sometimes by staying seated, sometimes by captivating an audience. With this book, I want to send a message to young readers around the country - and the world - that persistence is power." The title refers to a comment - now a catchphrase - by Senate Majority Leader Mitch McConnell after the silencing of Sen. Elizabeth Warren during a debate in February about the confirmation of attorney general nominee Jeff Sessions. Warren, a Democrat, opposed the nomination and was speaking against it on the Senate floor when Republicans invoked a little-known rule to stop her.